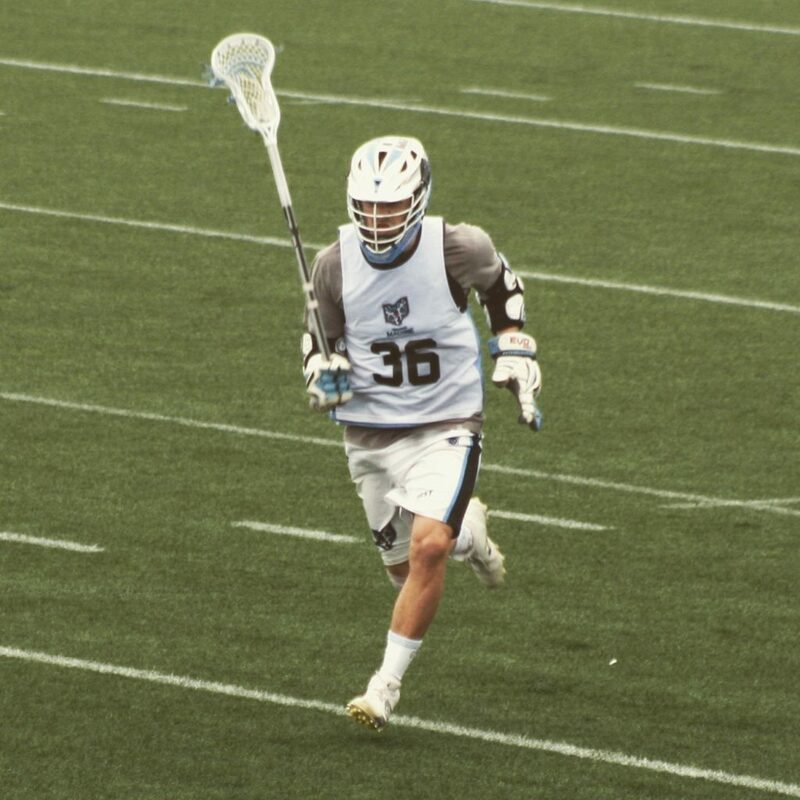 DI Lacrosse midfielder talks about the recruiting process. 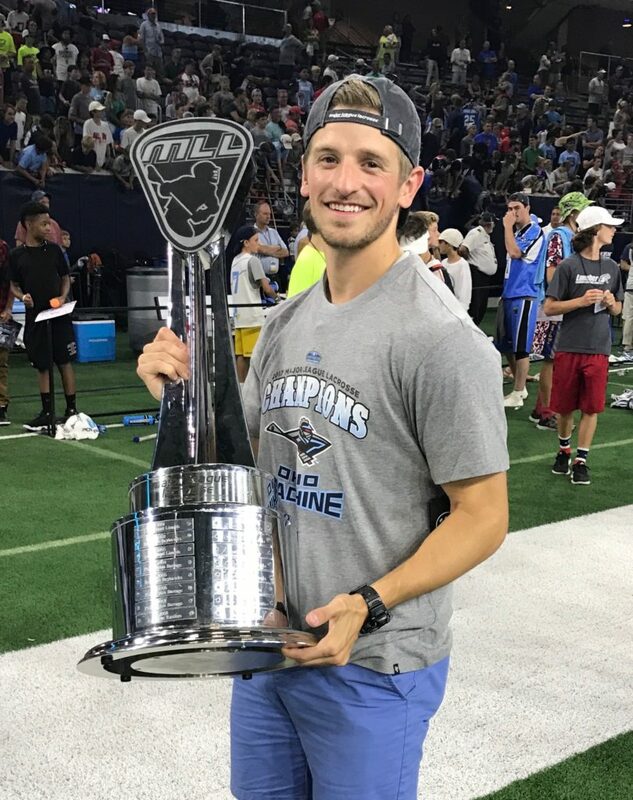 Brandon Davenport Interview – 5’ 8” 120 All State Lacrosse offensive midfielder works his way to DI Scholarship then playing at the professional level. The recruiting process can go by in a blur, and quite often will leave parents and students wishing they knew more at the outset to better prepare them for the journey. In an effort to help alleviate that feeling of anxiety, and to arm students and parents with the knowledge they’ll need, Scholarpreps is sitting down with graduates who have been there and done that. Today we sat down with Brandon Davenport. 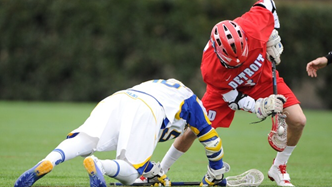 After a decorated high school career at Grosse Pointe North High School, Brandon went on to play Division 1 Lacrosse for the University of Detroit Mercy for four years, then professionally for another three seasons with the Ohio Machine. SP: What we’re trying to do is answer some of the questions a lot of parents have going into the recruiting process. First, I want to know, if you were able to turn back the clock to when the recruiting process started in high school for you, what do you wish you knew then that you know now? BD: Yeah. I think through my recruiting process, what I did is I first went to a couple big recruiting showcases, and I pigeonholed myself with those specific teams. I really only reached out to the coaches that were at these specific events. Going through the recruiting process, you really need to realize what you’re looking for in a school, what you’re looking for in a team, and then find that perfect team, that perfect school, and then reach out directly to them. So, I really pigeonholed myself with the coaches that were at those recruiting events, that I saw that I was able to talk to face to face, but in reality, there were some other schools that probably would have been a better fit for me that I never talked to. SP: And when did you start that process? Was it your sophomore year, your freshman year, or not until you were a senior? BD: Yeah. That would’ve been my sophomore year I started going to recruiting tournaments. I’d always played summer ball, whether it’s coaches at Grosse Pointe Select, which was a great summer team for me, and I had looks from that. And then I transferred over and started doing some individual recruiting tournaments my sophomore and junior year of high school along with that Grosse Pointe Select team. SP: That’s a pretty good start. We find there’s a lot of kids that wait until their senior year, which is not too late, but it makes it pretty tough. BD: Yeah, it is tough. SP: Going back to what you said earlier regarding finding that ideal school, what would you say to a student who has not gone through the college visit process yet? What do you find to be the most important action items for a student looking for the right fit? BD: Yeah, I think that the college visit is huge. You’re basically doing an interview for the school, for the team, for the coaches. You can embrace yourself in the culture and make sure that it is a good culture, that you fit in. A good winning culture. There were definitely programs that I went to where I really liked the guys, I liked the coach, I liked the school, but that culture of winning wasn’t there. That doesn’t mean that they were undefeated the year before. They may have not won a game the year before, but I see a culture of winning as they have goals in place and how they’re going to get better, how they’re going to win conference championships. Everyone buys into that. So, that’s what I think is huge about those college visits is embracing yourself in the culture, being within the culture for a day, or two days, or however long you’re there. You also want to make sure to get a feel for the school overall, and not just spend time with coaches and staff. SP: We’ve talked to a lot of kids and they definitely feel that. Every school has its’ unique offerings, so we try to encourage them to make as many visits as possible. BD: You’re never really going to know until you put yourself in it. You know, the majority of the schools that I went into were small schools, and I knew that I wanted to be in a small classroom setting. There was one big school that I went to, and I went into a lecture hall, and there was 150 people there and I just immediately knew that that wasn’t going to be a good fit for me. I was not going to be able to succeed academically in that environment. SP: What would you say about the collegiate game itself compared to high school? You were certainly one of the best on the team, probably a top player in the conference. Moving over to the college game, what kind of feedback would you give to high school students on what to expect at the next level? BD: It was really pretty difficult for me. I graduated high school at 5,8”, 120 pounds. I was a three-time All-State offensive midfielder. So I was scoring goals, and I was doing that by being quicker than the other guys, by running away from guys, and not really getting myself in the heat of it. Kind of playing as an outside player. When you get into college, every single person that you’re playing with was the best player on their team. Five-eight, 125 pounds is not a good weight to go in and play a Division 1 sport. Everyone was athletic and, I couldn’t get by just being athletic. I had to put on weight. Instead of just working harder, I had to work harder and smarter. That’s what I did in high school. I just worked hard. In college, working hard is not enough. You have to work smart. My freshman year I was on the track of making second line and getting a little bit of looks on offense. I knew it was going to take some time for me to get on the field, so I found a niche. I positioned myself to become a faceoff specialist, knowing that with my height, my weight, and my experience, the only way for me to get on the field was moving into a different position where I really excelled. So that’s what I did. I moved into faceoffs, and I found a niche for myself that got me on field for four years. SP: Going back to that last question, regarding the college visit, did you have a chance to see game and really appreciate the speed and size difference at some of these games? BD: With Lacrosse being a spring sport, all of my recruiting visits were in the fall. So I didn’t get to see any actual games, but I always would go to a practice, try to put myself in their shoes and say, you know, can I compete at this level? I went to Division III schools, and I went to Division I schools, and yeah, I was really glad that I went to Division III schools. I knew that I could immediately play on offense and make an impact. For some people that’s where you want to go. You want to go and start your freshman year, and start playing, and you want to make a huge impact. That’s great. That would have been the Division III level for me. I wanted to get into a Division I program where it was going to take time for me to get on the field. I had to get better as a player in order to start performing on that team. How did the college game prepare you for the business world? SP: So, this last question is how did the college athletic experience get you ready for your career today? Or how do you think college athletics has impacted how you perform professionally in your career? BD: Yeah, absolutely. I’m in sales, so what I learned in college, through college athletics was everything. You know, I was always competitive when I was younger, but in college, that competitive drive just went on overload and I got to a new level of competitiveness within myself. So, going back to high school, I worked hard. That’s all I did. I moved into college and it was, you have to work hard, you have to work smart, and transferring that into my sales job now, it’s exactly what I have to do. You have to work harder than your competition. You’ve got to work smarter than your competition. And I think college athletics was a huge impact on me developing that. The schedule was pretty brutal. You have classes and you go to practice. You have meetings, travel, and studying, so that routine helps you build the ability to manage a full schedule. SP: Probably a big advantage for you today! BD: Yeah, it was. Time management is huge. You only get 24 hours in a day, and how are you going to optimize it? In college, I ended up getting two degrees and two minors, and I was also part of a few clubs. I loved embracing that sort of time management. Waking up every morning and saying, I got workouts from 5:00 a.m. to 6:30, then breakfast, then it’s time to study, then class, and then I have a meeting with my club. It was great to have that schedule that I didn’t really have in high school. Now getting into the working world, I do the same thing. Wake up and I say, okay, from this time to this time I’m going to make sales calls. From this time to this time I’m going to follow up on cases. And it’s helped me a ton. Are you glad you played in college? SP: I lied. One last question. For that student that’s a senior and is on the fence of whether or not to play sports in college or just enroll as a student… If you were to do it all again over again, would you? BD: When you’re a freshman, you have to be ready to have your entire life basically taken up with athletics. When you are not in school, you are with your teammates, you’re practicing, you’re working out. You need to be mentally prepared for that. Someone that’s on the fence about it, if you think that you can do it, go for it. The relationships that you build on that team, the skills that you are building throughout four years of playing college athletics, with time management like we talked about, with work ethic, that competitive drive, that’s something that you’re not going to get just straight out of school. You need something on top of that. And athletics has been all of that for me. If I had to redo it over again. Absolutely, I’d do it again.